It is my intention to introduce this paper on the contemporary implications of the catechumenate with some introductory remarks on what I believe is its most suitable context that is evangelisation. I will then make some general comments about adult initiation and the role of the second[i] Vatican Council in restoring the catechumenate in the Latin Church. After this I will proceed to comment on the particularity of Initiation in Eastern Churches. Having raised the relevance and some implications of the catechumenate for Eastern Christianity I will briefly refer to some of the main catechetical and liturgical features of the program for Christian Initiation of Adults, as conceived by the Ukrainian Greek Catholic Church. Catholic Doctrine, being the teaching of Christ’s Gospel and of the universal Church, is worldwide, given to all peoples for all times. Preachers of that doctrine perhaps more so in the East than in any other part of the world, must be on guard not to limit Christ’s teaching by any national or ritual principles. We say “more in the East than anywhere else” because precisely the Eastern peoples and Eastern Churches. . . lack this understanding of the universality of Christ’s message. They think that only their form is the genuine form of Christianity and that Catholicism in its essence is identical with the Latin rite and with the West. Although this opinion of Sheptytsky was delivered over eighty years ago we cannot be confident that much has changed. Lubomyr Cardinal Husar came to his own conclusions when approvingly quoting those words of his venerable ancestor. 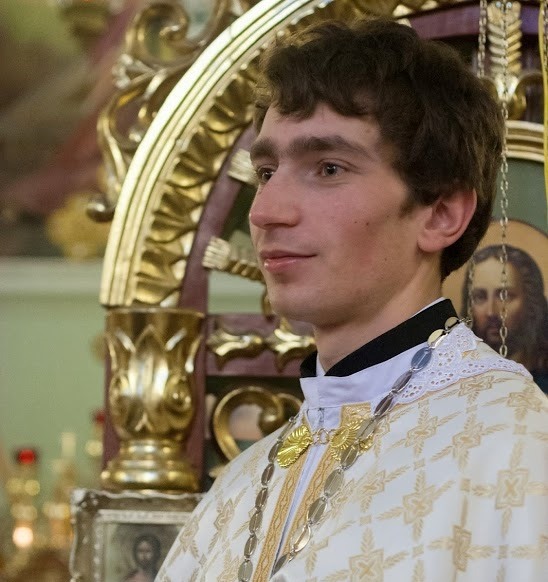 The Ukrainian Greco-Catholic Church is not a Church made up solely of ethnic Ukrainians…. It is a Church that comes from the Ukrainian people – but it is a Church that is for the entire human race. Sometimes diasporas can become closed in on themselves. The diaspora of the Church of Kyiv must not be that kind of phenomenon. Sometimes diasporas look backwards so much at their ancestral homeland, that they forget about taking care of their own life and vibrancy. The diaspora of the Church of Kyiv, must not be like that. The proper role of our diaspora — not to live for Ukraine, but to live: to be a strong and lively link between the country that is your home and the country of your ancestry, whether that ancestry is ethnic or spiritual, because, as I have emphasized, there are many non-Ukrainians who are members of the Church of Kyiv and that spiritual ancestry is even more important than ethnic ancestry. For us, the ancestry of Baptism is deeper than the ancestry of blood. I dream of a “missionary option”, that is, a missionary impulse capable of transforming everything, so that the Church’s customs, ways of doing things, times and schedules, language and structures can be suitably channelled for the evangelization of today’s world rather than for her self-preservation. The renewal of structures demanded by pastoral conversion can only be understood in this light: as part of an effort to make them more mission-oriented, to make ordinary pastoral activity on every level more inclusive and open, to inspire in pastoral workers a constant desire to go forth and in this way to elicit a positive response from all those whom Jesus summons to friendship with him. When we turn our attention to the manner in which the process of Christian Initiation is made available in many places today, it is clear that something needs to improve. Too often, the Baptism of infants is available virtually on request, with minimal instruction offered to the parents and godparents. The reception of adult converts into the Church requires of Orthodox Christians only the Profession of the Catholic faith after doctrinal and spiritual preparation. Validly baptised Protestants desirous of entry to the Catholic Church an unspecified religious instruction followed by the Sacrament of Penance, Chrismation and Holy Communion. In the case of unbaptised adults the situation is even vaguer. As we now know this is a reversal of the situation in the Church of the fourth century when the ritual forms of Initiation were taking shape. The primary model for initiation then was adult initiation. The initiation of infants and young children was an adaptation from what was done for adults. Today some think that circumstances have changed so much that we are in a cultural reality with great similarity to the fourth century Roman Empire. Tribal Catholicism is rapidly disappearing, if it has not already gone. The great strength of the tribal configuration was that most desired to belong to the clan so strongly that they went along with all that was demanded to adopt the tribal identity. Becoming Catholic (Latin or Eastern) was simply a matter of family allegiance. That is no longer the case. As communities have fractured and moved away from the life of the village, families have broken down and people now live in diverse figurations in the city. In reality living in the city involves belonging to the domestic community of the family, the professional communities of employment and modern social services such as education and medicine, and the multiple recreational communities that demand so much of our leisure time. Sociology pays close attention to different types of communities in the modern world; indeed institution vs community has been a topic of debate for much of the last century. Secularization and rational choice theory are often used to explain the way in which people currently come to belong to the community we call Church. It is clear that intentionality, concrete choice and decision are important factors for many adherents to the Church in modern societies. The Church has become a community in which conversion to Christian discipleship and commitment to the pursuit of the kingdom of God are frequently primary values. Structured programs of religious education in support of a fully conscious Christian commitment are essential. That is why evangelisation has become some important in the mission of the church. In such a context the present arrangement of initiation into the life of the Church is unsatisfactory. It simply does not work anymore. The present age demands individual commitment. An examination of the sources and practices of our tradition in the sacred scriptures and in the Baptismal homilies of the Church Fathers which addressed the catechumenal candidates of their day (around the fourth century) might give inspiration. Initially missionary activity in Africa and Asia led the Roman Catholic Church to re-examine its approach to the initiation of adults into the life of the Church. The catechumenate came to be considered as an essential stage in the process of pre catechetical formation of new Christians. The restored Catechumenate in the Latin Church was promulgated in 1972 as the Rite of Christian Initiation of Adults (RCIA). The RCIA rapidly became the principle vehicle worldwide through which the unbaptised (non-Catholics) were to enter the Latin Church. It is a success story seldom told. For example in Melbourne, Australia, in the year 2013, at the Rite of Election, 998 persons were presented to the Archbishop in St Patrick’s Cathedral. The text remained perforce a Latin document about the East, the document of a monolithic, basically Western Church with several minority satellite communities enjoying a special status and special rites, rather than a Catholic document about a single communion of sister Churches, each one an equally ‘particular’ Church. Nonetheless, there were many benefits flowing from the Council for the East. The future place of the Eastern Catholic Churches within the Roman Catholic Communion was assured and thereby enhanced the council’s teaching on the Catholicity of the Church. Therefore, I proceed to cite some of the Council’s teaching on the restoration of the Catechumenate for the Latin Church. I hasten to add that the resources into which the periti tapped for the restoration of the adult catechumenate were patristic. In what follows I have chosen four key quotations making clear the mind of the Council in the case of the Latin Church, because it is a model for those of us in the Ukrainian Greek Catholic Church. The Constitution on the Liturgy (Sacrosanctum Concilium) directed that, “The catechumenate for adults, divided into several distinct steps, is to be restored and brought into use at the discretion of the local Ordinary.” The Decree on the Pastoral Office of Bishops in the Church (Christus Dominus) instructs bishops to take steps to re-establish or improve the adult catechumenate. The Dogmatic Constitution on the Church (Lumen Gentium) establishes that Catechumens are members of the Church. The Decree on the Ministry and Life of Priests (Presbyterium Ordinis) lays down that priests must form the Christian community imbued with the missionary spirit. The pastor is to see to it that the parents of the infant to be baptized and the future sponsors are instructed about the meaning of this sacrament and the obligations connected with it and that they are suitably prepared for the celebration of the sacrament. It is precisely the nature of the progression of the itinerary of conversion which makes it beneficial to restore the ancient distinction in time between the preparatory part and that of the true and proper baptismal celebration. Re-establishing this separation will be even more meaningful when it concerns the Baptism of Adults. The historical circumstances which brought about the regular and nearly obligatory practice of baptising babies shortly after birth allowed for the near extinction of the prospect of adult baptism for a vast span of centuries. This is a reality which presents an immense problem to the entire life of the Church, a problem which the Church simply must deal with. Today, when a justified need arises for the examination of baptismal practices within the Church and when even greater insistence is placed on a return to the original tradition, it becomes necessary, we deeply believe, to work on securing adequate liturgical settings in which the holy mystery of Baptism, as with other holy mysteries, could be worthily performed. Above all, the bulk of the effort should be given to acquainting the faithful and those Christians obedient to the Church with the notion, contents, and meaning of the holy mystery of initiation. It is appropriate to comment here that previously baptised non- Catholics who seek admission to the Church might appropriately join these processes of initiation, but under no circumstances may they be presented to receive (for a second time) the mystery of baptism. It is envisaged that the catechetical preparation of adult catechumens will take place over the course of twelve months. The Great Fast would become once again a time of intense preparation for both the catechumens and the faithful (sponsors and fellow parishioners) who travel on this journey of faith with them. The Paschal Vigil on Holy Saturday would under normal circumstances be the most appropriate time for adult baptisms. There is a presumption that the Vigil would take place in the late afternoon or early evening. It should mark the end of Holy Saturday and the beginning of the new day of Christ’s Resurrection. For adults the ritual use of oil, water, light and the white garment will be an intense experience demanding careful preparation. The restoration of our Liturgy will become a real priority for those eparchies who opt for the catechumenate. Earlier this year Fr Nicholas Denysenko’s book, Chrismation: A Primer for Catholics, was published. In this book Denysenko offers a most penetrating study of the history and liturgical study of the mystery of Chrismation. It does so by examining its relationship with baptism and the Eucharist. The focus of the book is a theological explanation of chrismation as initiation into the life of the triune God (theosis). As the book draws upon both Eastern and Western sources of liturgical scholarship it is destined to become an essential source for bishops, priests and theologians involved in the implementation of the catechumenate and its liturgical demands at the level of eparchy and parish. The Catechumenate — a program of catechetical instruction, which would normally begin on the Sunday of All Saints (after Pentecost) and end the following year, on Holy Friday, with apulic Profession of Faith and Allegiance to Christ. During this time, the program focuses on the reading of the New Testament, the twelve Articles of the Baptismal Creed, the Commandments of God, the Beatitudes and Daily Prayers. Christian Initiation — purification, illumination and union with God, through the Mysteries of Baptism, Chrismation and Holy Eucharist. This takes place at the Vigil Service of Holy Pascha on Holy Saturday. The Period of Mystagogy — post-baptismal catechesis, which begins on St Thomas Sunday and may last anywhere from three to six months. The focus during this time is the mystagogical explanation of all seven Sacramental Mysteries, personal and liturgical prayer, the Gifts and Fruits of the Holy Spirit, virtues vocations and service in the Church. Further specification is offered in explaining the role of the catechumen. 33. A catechumen. . . is called not only to hear and read the word of God, but also to listen to it attentively and to begin to apply it to daily life. Hearing the word of God, especially as developed in the Gospel lectionary, will become a central dimension of the catechesis of the catechumen. It is anticipated that the holy Gospel will become the source of prayer and spirituality in every aspect of the life of the catechumens. There are also three levels of progress through the full program of the Catechumenate. This points to the need for catechetical resources such as Christ Our Pascha and publications and programs especially designed for the catechumenate. We now briefly turn our attention to liturgical implications of the Catechumenate. Part Three of the Introduction to the Christian Initiation of Adults begins, “Adult baptisms are normally celebrated on Holy Saturday at the Vigil Service of Holy Pascha.” Detailed liturgical instructions are set out for the celebration of Paschal Vespers including Baptism, Chrismation and concluding with the Liturgy of St Basil the Great. The Introduction makes it clear that this Service is to take place late in the afternoon or early in the evening. Specifically, “It marks the end of Holy Saturday and the beginning of a new day: the day of Resurrection.” The Pascal celebration concludes the following morning with Resurrection Matins and the Divine Liturgy. For some that will be a considerable change, but also perhaps the beginning of the restoration of the order of services during the whole of Holy Week. 236. . . .the neophytes, with the help of their godparents, should experience a full and joyful welcome into the community and enter into closer ties with all the faithful. Although a very comprehensive catechetical package has been assigned by the UGCC directory to this period it is once again a liturgical catechesis which is central. By glancing at the Gospel readings during Bright Week and then the Sunday gospel readings from St Thomas Sunday through to Pentecost Sunday, it becomes clear that a catechesis on faith for neophytes is intended. Jesus Christ said to his disciples: “You are the salt of the earth. . . you are the light of the world” (Mt. 5:13-14) and by this he calls us to reach outside our church communities to carry Christ’s teaching into the world, to transform the world with the Spirit of Christ. The Christian Initiation of Adults implements the evangelizing Mission of the UGCC. It provides a systematic program for the induction of adult converts to the life of faith in the Church. It will provide a model for the catechetical formation of those already baptised seeking admission to the Church. It will stimulate our liturgical life by provoking the restoration of the Paschal Vigil and renew the understanding of Baptism Chrismation as the mystery (mysteries) which makes those who are initiated or rather enlightened capable of participating in the community celebration of Holy Eucharist. Cited in Antoine Arjakovsky, Conversations with Lubomyr Cardinal Husar: Towards a Post-Confessional Christianity. Lviv: Ukrainian Catholic University Press, 2007,125. Extract from the Speech of His Beatitude Sviatoslav at the Metropolitan Andrey Sheptytsky Institute Fundraiser, Toronto, May 2, 2014. Pope Francis, Apostolic Exhortation, Evangelii Gaudium, Strathfield, NSW: St Pauls Publications, 24th Nov., 2013, par. 27. For a comprehensive discussion of the sociology of religiosity today see Grace Davie, The Sociology of Religion. London: Sage Publications, 2007. The Council diary of Metropolitan Maxim reveals the time consuming effort he put into his work leading up to and during the council, despite his lack of a respectable theological library. The Second Vatican Council Diaries of Met. Maxim Hermaniuk, C.Ss.R. (1960—1965). Trans. Jaroslav Skira, Leuven: Peeters, 2012. Robert F. Taft, “EasternCatholic Churches (Orientalium Ecclesiarum),” in Modern Catholicism: Vatican II and After, ed. Adrian Hastings. New York: Oxford University Press, 1991, 135. Richard Gaillardetz. The Church in the Making. New York: Paulist Press, 2006, 68. A key text was and remains Edward Yarnold, S.J. The Awe-InspiringRites of Initiation: Baptismal Homilies of the Fourth Century. Slough, England: St Paul Publications, 1971. Peter Galadza, A Proposal for the Restoration of Gradual Initiation into the Church Culminating in Baptism-Chrismation During a Parish Sunday Liturgy, Logos, Vol. 51, 3-4 (2010) pp.341-44.
. John Paul II. Code of Canons of the Eastern Churches, New English Trans., Washington, DC: Canon Law Society of America, 2001, 686#2. Congregation for the Eastern Churches, Instruction for Applying the Liturgical Prescriptions of the Code of Canons of the Eastern Churches. Rome: Libreria Ediitrice Vaticana, 1996, #45. Nenad Milosevic. To Christ and the Church: the Divine Eucharist as the All-Encompassing Mystery of the Church. Trans. Fr Gregory Edwards & Dushan Radosavljevic. Los Angeles: Sebastian Press, 2012, 211. For a comprehensive discussion of the restoration of the Vesperal Liturgy of Holy Saturday with the first proclamation of the Resurrection with Psalm 81 and Matthew 28:1-20 see Nicholas Denysenko, Psalm 81: Announcing the Resurrection on Holy Saturday. In Logos Vol. 50, 1-2 (2009) 55-88. This most recently published historical liturgical theology covers the uses of Chrismation in both the office of Initiation and reception of converts from other Christian Churches is now the only contemporary account published in English. Nicholas Densysenko, Chrismation: A Primer for Catholics. Collegeville, MN: Liturgical Press, , 2014. (They) are expected to attend the Liturgy of the Word every Sunday and to listen attentively to the readings and the homily. By September 1st (the beginning of the New Church Year)), they are expected to have completed their first personal reading of selected Old Testament passages and all four Gospels. Catechists are obligated to meet with their catechumens and sponsors within the first week after the Rite of Enrolment. The goal of this first session is to provide beginners with a basic introduction to the Bible, to prayer, meditation and the reading of Holy Scripture. Sponsors are responsible for attending Sunday Liturgy with their catechumens. They are to help them become acquainted with the Divine Liturgy, to discuss with them the Sunday readings and homily, to check up on their progress with daily prayer, Scripture reading, and to assist them with any questions they may have. Christian Initiation of Adults. Paragraph 62. ICEL. The Rite of Christian Initiation of Adults. Sydney: E.J. Dwyer, 1987. See . Christian Initiation of Adults. Paragraph 148. Once again comparative methodology is suggested in this case. We find the following in the Latin Church’ RCIA: 237. Since the distinctive spirit and power of the period of postbaptismal catechesis or mystagogy, derive from the new personal experience of the sacraments and of the community, its main setting is the so-called Masses of the Easter season. Pastoral Letter of His Beatitude Sviatoslav. The Vibrant Parish —A Place to Encounter the Living Christ. Kyiv: Patriarchal Sobor, December 2, 2011. Very Rev. Brian Kelty, Ph.D.